I am a huge Tolkien fan. I read The Lord of the Rings every other year or so. I love the books and enjoy the movies. But in all these years I’d never read The Silmarillion. I was about to embark on another LotR reread when I thought, maybe I should finally get through The Silmarillion first, and see how it changes my experience when I finally get to my next LotR reread (note: since I wrote this article, I have begun said reread, and it is indeed very cool to do so having read The Silmarillion. Hypothesis confirmed!). It turns out I really enjoyed The Silmarillion! I decided to write this article to either convince you that you should also read it, or give you a shorthand version of the important stuff that relates to the primary trilogy (whether you’re a fan of the books or the movies). Given the length, I’ve split this article into two parts. Here, then, are ten things in The Silmarillion that will influence how you see The Lord of the Rings (and The Hobbit). Professor Tolkien’s creation is, without any doubt, wonderfully original. 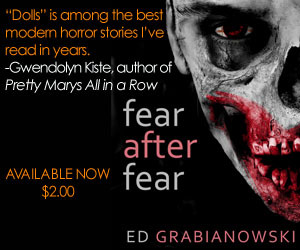 But like all great works, it borrows and remixes its creator’s influences. At the heart of Middle-Earth is a complex blend of Christian monotheism with Norse/Germanic paganism. This becomes clear in The Silmarillion because it is effectively like the Bible of Middle-Earth, the origin story of an entire world and the beings who live there. And like the Bible, it describes events as a sort of overview, but rarely gets into the details and dialog you’d find in a typical novel. For instance, the Battle of the Pelennor Fields takes up several chapters in The Return of the King, but in The Silmarillion it is simply described as a major battle that occurred during the events leading to Sauron’s downfall and the ascension of Aragorn to the throne of the Reunited Kingdom. It takes about half a paragraph. The book starts, like the Bible, with the creation of all existence at the hands of Eru Ilúvatar, the one god above all others in Tolkien’s mythology. Ilúvatar is the source of everything, a very monotheistic Judeo-Christian idea. But the first thing he creates is a group of beings called the Valar, who are basically like pagan deities — they each have their own “portfolio” of concepts which they specialize in. There’s a sea god, a nature goddess, an air god, even a goddess of grief and mercy (Nienna, whom I find quite interesting — she was known to stare out her window and gaze at the void beyond existence). Ilúvatar also created the Maiar, who were sort of like demigods, deities of lesser power than the Valar, but also sort of like angels and heralds of the Valar. They interacted with the peoples of Middle-Earth much more frequently and directly than the Valar — indeed, Gandalf and Sauron were Maiar, and one of the Maiar married an elf, creating a lineage of elves which have divine Maiar blood in their ancestry (including Elrond). So you can see both what you’ll find if you choose to read The Silmarillion — a sweeping overview of the most important events in the history of Middle-Earth — and a glimpse of the core ideas that were swirling in Tolkien’s mind and led to the vast mythology he eventually wrote. Reading The Lord of the Rings, you might assume Tolkien had kind of a thing for the elves. A central theme of the story is the sadness of the elves’ inevitable passing over the sea, into “The West,” leaving Middle-Earth forever. Basically everything elven is pure and gorgeous and amazing, and everything not elven is a pale shadow of true elven beauty (an idea I’ve alluded to before). Here’s the thing, though — the elves were basically handed a great deal by Ilúvatar. They’re immortal, they can go back and forth between heaven (Valinor) and Middle-Earth, they’re very powerful, they never get diseases, and even if they get killed in battle they can come back. They get to hang out with the Valar and all the lands of Middle-Earth are theirs to settle and build beautiful stuff in. But there’s one thing the elves in the Third Age don’t talk about — that almost everything bad that happens in Middle-Earth happens because of elves. One elf in particular: Fëanor. Fëanor was one of the sons of Finwë, one of the three original elf kings. Fëanor had it all, looks, skill, strength. He created the Silmarils (as well as the Palantiri, more on those later), three gems that contained the last remnant of the light of the two lamps the Valar used to light Valinor. They were incredibly powerful and beautiful gems, and Fëanor grew proud and jealous, hiding them and getting paranoid that the Valar would steal them. There’s a lot more to the story, but basically Fëanor convinced his followers to leave Valinor for Middle-Earth, and in doing so they murdered another group of elves to steal their ships. And Fëanor made his sons swear an oath that they would never allow anyone else to have the Silmarils. This oath led to countless betrayals and tragedies, as the Sons of Fëanor turned against their fellow elves, all to get their hands on those gems. All this served to aid Melkor (later known as Morgoth), the dark and evil Valar that spent his entire existence working to destroy anything beautiful the Valar made. (This is, of course, a simplification, since Melkor/Morgoth, a figure with an origin quite similar to Lucifer, is really the source of all evil in Middle-Earth, and he was the one who stoked Fëanor’s paranoia. To be sure, Morgoth did an enormous amount of evil on his own. But the crushing betrayals and loss of faith and innocence that stemmed from Fëanor all seem worse because they came from a fellow elf, a form of internal corruption and greed more insidious and horrible than the depredations of an external bad guy. And all this paints the superior attitudes of the elves in the Third Age in a very different light). The Middle-Earth you’re familiar with extends from The Shire and areas nearby in the northeast to Minas Tirith and Mordor in the southwest (this is a simplification, again — there’s quite a bit to the north and west of the Shire, for instance). There are vast areas to the east and south, but these are “off the map,” wild, untamed lands that play almost no part in the story. This is a little odd, given that Ilúvatar created this entire world and none of the Valar seem to give a crap about any part of it except the slice of map we know of. But anyway, that’s not the point. 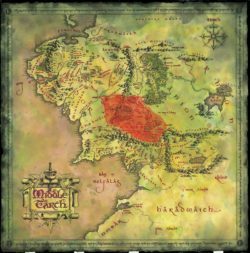 The point is, a lot of what happens in Middle-Earth during the First Age takes place in the western half of Middle-Earth, a huge area called Beleriand that simply isn’t there anymore. 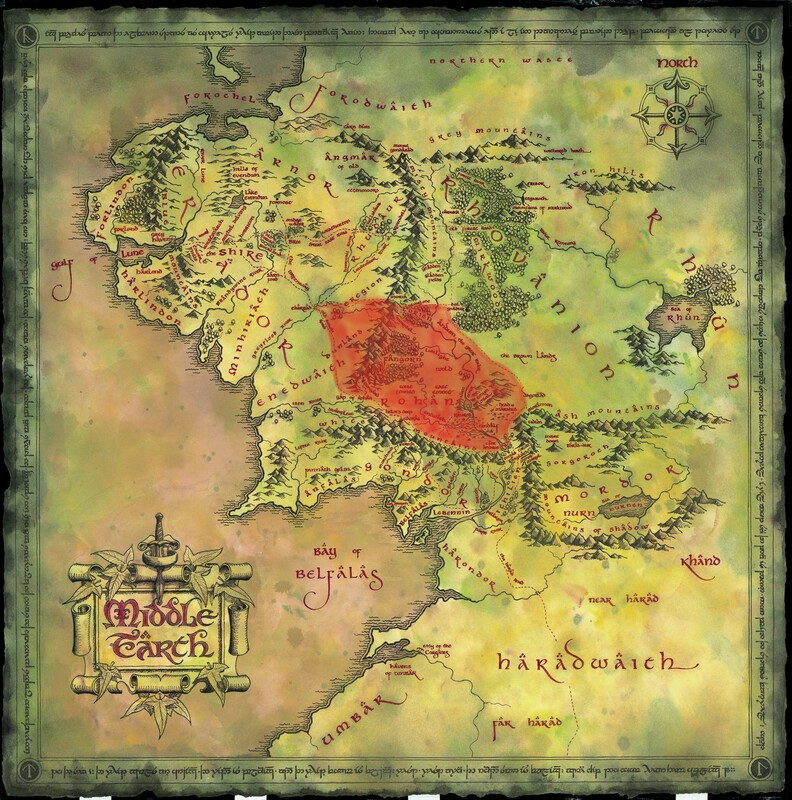 If you look on a map of Middle-Earth, not far west of the Shire you reach a huge ocean. It used to be an entire second half of Middle-Earth, as big as what you know from LotR. Morgoth, who had moved to a fortress in northern Middle-Earth called Angband, was causing so much grief that the other Valar were eventually roused to cross the sea and go to war against him. It was known as the War of Wrath, and the Valar won, exiling Morgoth into the void until the end of time. But the war was so brutal, its participants so powerful, that Beleriand was simply destroyed, shattered and sunken beneath the sea. So if you’re wondering why the Valar didn’t just come deal with Sauron in the Third Age, they had vowed never to interfere directly with Middle-Earth again after they literally demolished half of it. It’s why they sent Maiar in the form of the Wizards to help instead. Galadriel is one of the most powerful elves in Middle-Earth during the Third Age — possibly the single most powerful. She is Fëanor’s niece, so her origin is quite close to the very first elves who ever existed. She was born prior to the start of the First Age, in fact. But remember when Fëanor rebelled and took a bunch of elves from Valinor to Middle-Earth? Well, Galadriel was among them, joining and advocating for the rebellion because she wanted her own kingdom in Middle-Earth rather than hang out with the Valar in Valinor. She did not directly participate in the kinslaying and the really, really bad stuff Fëanor did, but she was part of that insurrection all the same, and she wasn’t terribly proud of it. It also makes Galadriel and her sadness at the passing of elves from Middle-Earth even more interesting. Keep her long life, the fact that she left Valinor against the wishes of the Valar, her apparent shame at the circumstances surrounding that, all in mind when Frodo offers her the Ring. 5). Aman isn’t actually on Earth any more. The “planet” that all this happens on is called Arda, and Aman is the holy continent where Valinor lies, far to the west. But at first, Arda was flat, and Aman was literally a continent. To get from Middle-Earth to Aman, you just sailed across the sea. At one point there was even a northern land bridge connecting them! And Ulmo, the god of the sea, once let a group of elves who were living on an island near Middle-Earth go to Aman by simply moving their island across the sea. Eventually, magical storms and winds made it very difficult to reach Aman (partly because the Valar were annoyed at the Noldor for leaving). An elf named Eärendil only managed it because he had a Silmaril. And even in the Second Age the Númenoreans could sometimes see part of Aman (actually the island Tol Eressëa, but close enough) from the coast of Númenor. But when the Númenoreans were seduced by Sauron and tried to invade Aman, the Valinor got mad. They made the planet, Arda, round, but they left Aman where it was. Meaning, the world was “bent” into a round shape, leaving Aman somewhere in the sky, or in space. It became impossible to reach except by the Straight Road, a magical path following the old route from Middle-Earth to Aman, heading straight into space instead of following the curvature of the planet. So when Frodo and Gandalf and the elves head “into the west” at the end of the LotR, they’re actually taking a magical space journey, or possibly a trip into another dimension. Weird, yeah?